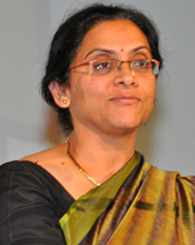 Rukmini Banerji is director of the Assessment Survey Evaluation Research (ASER) Center in New Delhi, India, and senior member of the national leadership of Pratham, an organization that reaches three million primary school age children in India every year. This Lead the Change interview appears as part of a series that features experts from around the globe, highlights promising research and practice, and offers expert insight on small- and large-scale educational change. Recently, Lead the Change has also published interviews with Diane Ravitch, and the contributors to Leading Educational Change: Global Issues, Challenges, and Lessons on Whole-System Reform (Teachers College Press, 2013) edited by Helen Janc Malone, have participated in a series of blogs from Education Week. This entry was posted in About K-12 International Education News, Interviews and tagged Educational change, Educational Leadership, India. Bookmark the permalink.